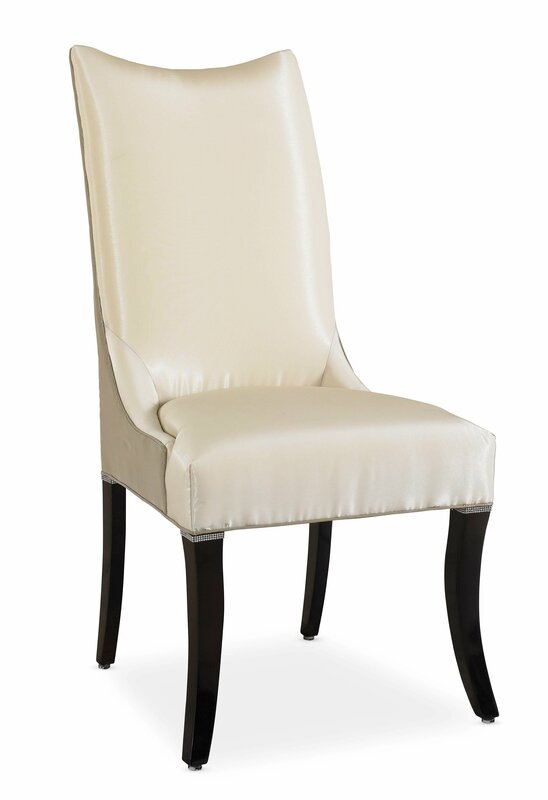 The Atelier 6 side chair is an exquisite addition to our couture dining chair collection. The glitz and glamour of Hollywood Regency styling of the Atelier 6 side chair is evident with the combinations of the luminous taffeta quality fabrics, the Swarovski® crystal embellishments and the high gloss Sambuca finish. A pearl and taupe fabric color combination covers the chair body. the outside back features an open pleat. Inside, the 22″ pleat opening is lined all the way down with Swarovski® clear crystal stones. 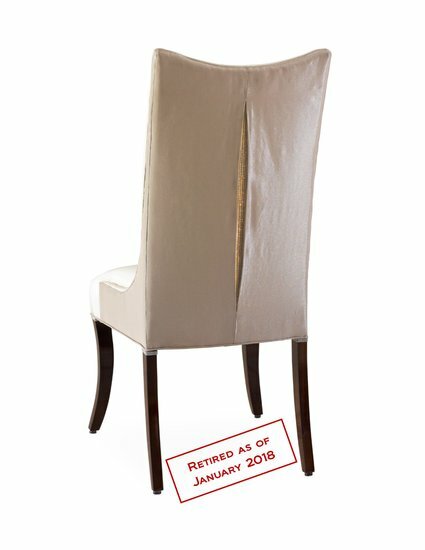 A three row Swarovski® crystal banding surrounds the top of each chair leg adorning them as a bracelet would a woman’s arm. The saber shaped front legs and curved back legs are finished in a beautiful, piano quality, high gloss dark brown finish called Sambuca.